Hello! My name is Afua. I am a content creator, startup investor and digital media entrepreneur who is passionate about helping young women think beyond their borders and build lives of impact. 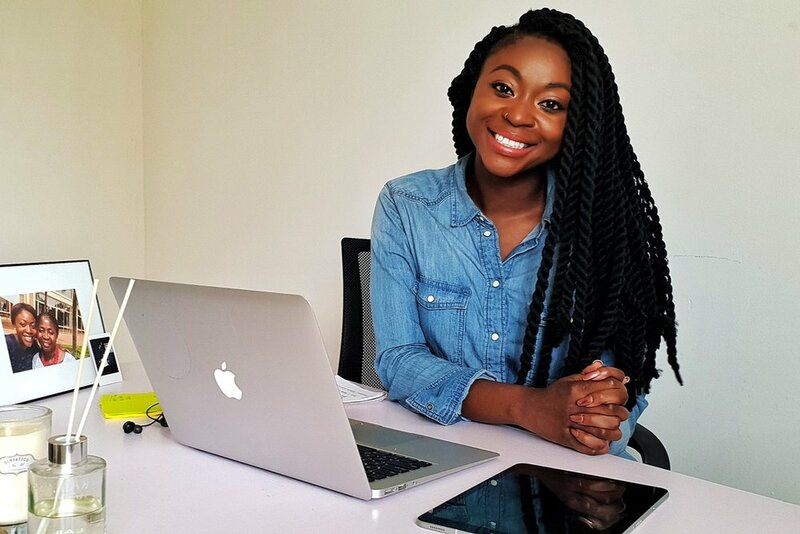 During the day, nights and weekends to be honest, I am the Co-Founder of She Leads Africa, a leading media brand for millennial African women that reaches more than 600,000 women across 100+ countries. In addition to building a thriving community that’s helping women build the professional careers of their dreams, I work with global brands such as Facebook, Google, Samsung, L'Oreal, and Estee Lauder to design culturally relevant and data drive marketing and engagement campaigns. With any other free time I have, you’ll find me here sharing advice on how to take your brand to the next level, the behind the scenes of my travel escapades and the latest coaching and learning opportunities. I’d love to share with you upcoming projects, business and career advice I learn along the way and opportunities that may be helpful to help you reach your goals. If this sounds interesting, sign up to join my personal community. I’m now at a place where I can share what I’ve learned to help others successfully grow and scale their brands. Check out my learning and coaching programs to find one that may be a good fit for your business or brand. Learn how to position yourself as a thought leader in your industry and pitch yourself for international speaking opportunities. Sign up for this online class to learn how to build a sustainable business as a content creator, photographer, digital marketing, videographer or any kind of creative. Work with me 1-on-1 for coaching on strategy, marketing and brand development for entrepreneurs who want direct feedback to help them reach their goals. I’m a Boring Entrepreneur on YouTube. For plenty of people, the version of entrepreneurship they’ve been sold is someone who is jet setting and living the life. For me, it's much different. While you'll find me on planes, it's definitely in the back on the budget side. When I'm out at events, it's hustling to make the right connections. While rarely glamorous, this series shares some of my experiences being a boring entrepreneur who is trying to build greatness. I love sharing my expertise across the globe. Whether it’s an international conference or a local school group, I love sharing my expertise in digital marketing and business strategy. I've had the privilege of sharing my expertise at TEDx Euston and TEDx Accra, the G20 Africa Partnership Conference in Germany, Essence Festival Durban in South Africa, and Thomson Reuters Foundation Trust Conference in the UK. I was also the host of the first ever Airbnb Africa Travel Summit in Cape Town, South Africa. The adventure continues on Instagram.